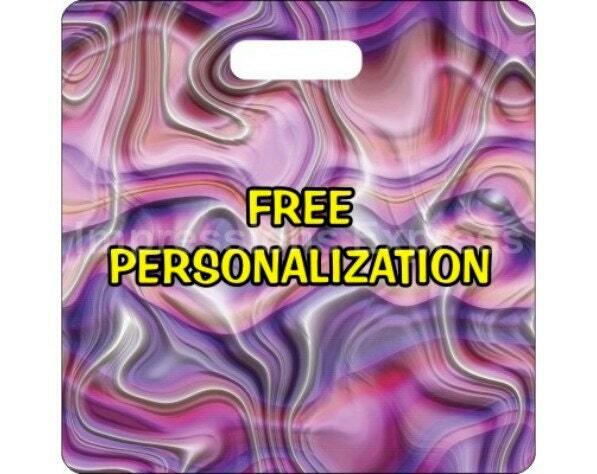 Purple Silk Ripple Personalized Square Luggage Bag Tag. A personalized double sided purple silk ripple design on a square luggage bag tag. The image on this luggage bag tag is a high resolution image of a purple silk ripple design. Please note that this tag does is NOT made with silk.